How does it make you who you are? How do our music choices differ from North to South, country to country? 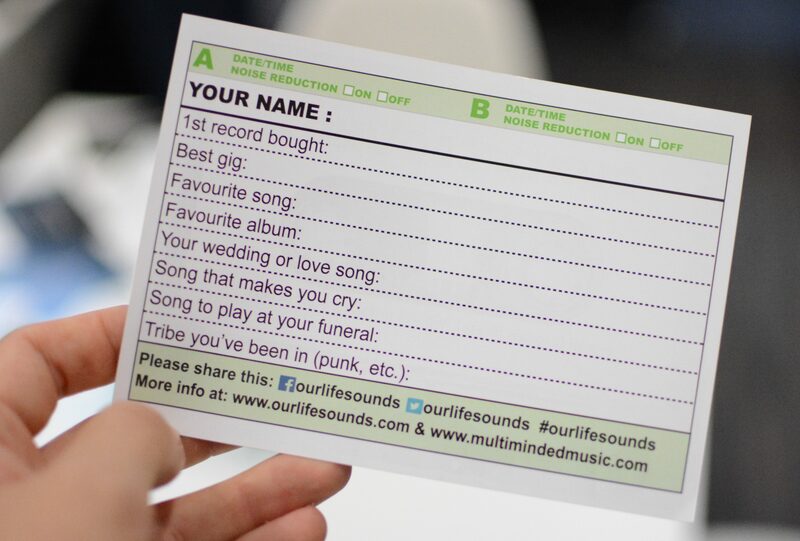 Our Life Sounds is the start of a music journey to map the world via music tastes. Part research, part interactive art project, part social engagement we’ll explore which music makes us tick and how the sounds that inspire us to dance, cry or fall in love may differ from one side of the world to the other. Originated by two music fanatic creatives at boutique agency Multiminded Digital we will be working alongside some big partners and visualising some of the fascinating insights we discover along the way. And we’re starting right here in the North which means we need you. All of you!